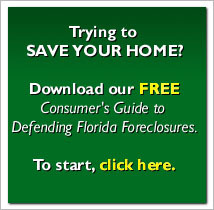 DJSP Enterprises, Inc.’s (the “Company’s”) primary customer, the Law Offices of David J. Stern, P.A., has announced that it will be ceasing the practice of law with respect to all pending foreclosure matters in the State of Florida as of March 31, 2011. As a result, the Company does not expect to receive any further file referrals from this customer. No word yet on what’s going to happen to Stern’s yacht.